Ten Commandments are considered as literal word of God. Texts from other religions have similar words for adultery. Technically, the literal translation is it is for the man to not to covet someone’s “wife”. It doesn’t give similar instructions for to covet someone’s “husband”. So, can we say this rule applies only to men and not women? I was joking as “#Feminism #WomenEmpowerment” to my sister. To quote Merriam-Webster, ethics is “rules of behavior based on ideas about what is morally good and bad”. To put in context, those were the good old days (#Sarcasm) when women are treated as the property of men and not as individuals. Now these words make sense in that setting. We have evolved to give equal rights to women and thus women are accountable morally in case of one pursues a married man. Ethical standards evolve as the acceptable norms of society. As the world shrinks with technology and human migration, we moved into new realms like multi-cultural, multi-ethnic realms that directed us to new codification of human rights, civil rights, and animal rights. With technology comes the big data elephant that rampages both positive and negative disruptions in our daily lives. 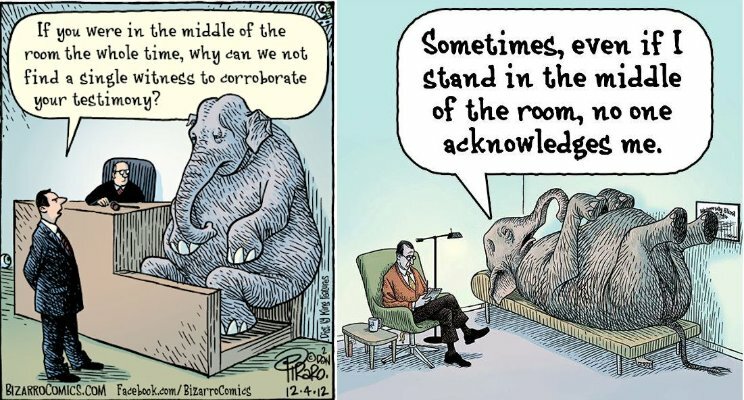 It is time to address the elephant in our living room. As the legal standards of data world are beginning to evolve, we should start the debate on the ethical qualms of data rights. This entry was posted in Big Data, Conceptual, ethics and tagged Big Data, ethics. Bookmark the permalink.